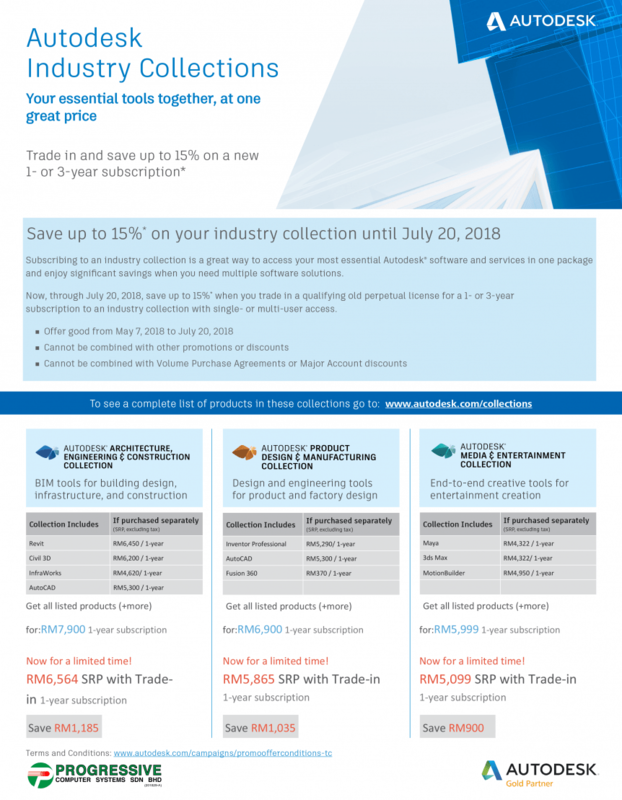 Subscribe to the latest Autodesk license and enjoy up to 15% discount of the retail price when you trade-in your legacy Autodesk perpetual license. Promotion valid until 20th July 2018. Terms and conditions apply.